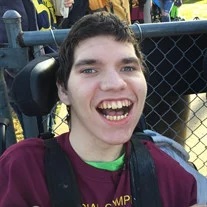 Bryan “Keith” Arendale, Jr. 18, of LaFayette, went home to be with his Lord and Savior on Friday, January 18, 2019. He was a lifelong resident of the Chattanooga & North Georgia areas and was of the Christian faith. He was currently enrolled at Ridgeland High School and loved playing his Sega, especially his fighting game “Tutu.” He was a loving and devoted son, brother and grandson that will be truly missed by all who knew him. He was preceded in death by his sister, Sarah Lynn; paternal grandparents, Shirley & Waco Arendale; and maternal great-grandparents, David & Peggy Gipson. Survivors include his father, Bryan Arendale, Sr.; mother & step-father, Angela & Michael Kent; brother, Austin Arendale; grandparents, Deborah & John Fairchild; and numerous extended family & friends. Funeral services will be held at 12:30 p.m. on Tuesday, Jan. 22 in the LaFayette Chapel, with Pastor Josh Cheresnick officiating. Burial will be private. The family will receive friends from 1-9 p.m. on Monday and prior to the service on Tuesday at the funeral home.